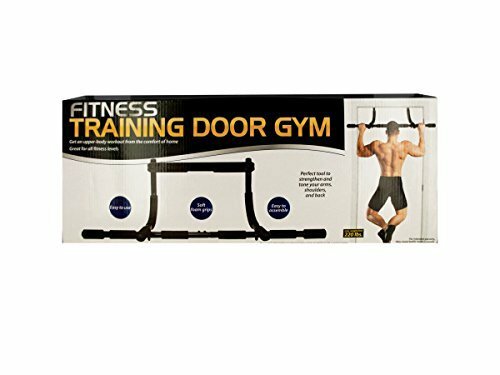 Get an upper body workout from the comfort of home with this easy to use fitness training door gym featuring soft foam grips. Great for all fitness levels, it is a perfect tool to strengthen and tone your arms, shoulders and back. Ideal for pull-ups, chin-ups, push-ups, sit-ups and triceps dips. Get amazing results in no time! maximum weight limit is 220 pounds. Easy to assemble. Includes directions and hardware. Comes packaged in an individual box.